Royal Engineering Company was established in 1994 in Ramallah at Palestine to provide Mechanical, Electrical and Plumbing (MEP) Engineering Design & Supervision Consulting Services. Since Royal establishment in 1994, it has grown into a well respected and solicited engineering consulting office. A valuable and broad background has been acquired through the years, the skill and expertise demonstrated and gained by experienced Consultant Engineers, “Association of Jordanian Engineers”, licensed professional engineers. In addition to the Chamber of Commerce “Excellent grade”, enables the firm the flexibility of design from a major sophisticated multi million projects to a more simply and smaller commercial assignment. 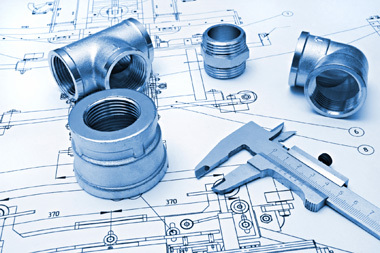 The electro mechanical engineers of Royal have years of experience in the design of mechanical plans (air conditioning, plumbing, process piping, infrastructure works, fire protection, energy savings, etc. ), for office buildings, shopping centers and pharmaceuticals and electrical networks. The professional activities resulted in substantial improvements to facilities, quality of operations and improved systems reliability. This success is a direct result of experience and clear goals to meeting common objectives. 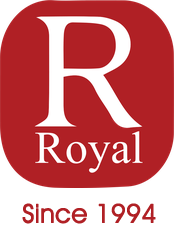 Royal has proven leadership on projects from conception through start up; has worked on all phases of projects that impose high technical challenges in terms of clean environments and high purity water. The electro mechanical engineers of Royal have vast experience in the design and in the supervision and/or inspection of projects. It has extensive experience in the permitting of projects including Industrial and Commercial facilities. Main services offered by Royal firm include mainly, although not limited, to a preliminary feasibility study and proposal to final design drawings and construction specification will follow up for bids, purchasing packages preparations, and supervision and inspection of construction. To use science and technology to provide innovative cost-effective and technically comprehensive avenues to both, sustain development and comply with regulations addressing environmental, health, and safety issues in a total quality approach. To completely understand the requirements of our clients, our jobs and the system that supports us. To serve you well at all times. To be a creative and exciting company valued by our customers and admired by our competitors, suppliers and the community.